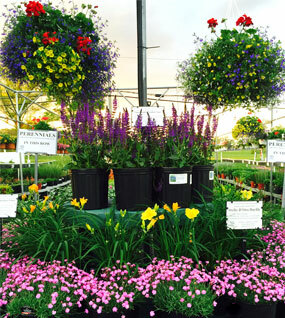 Van Houten Gardens is Harford County's premier destination for superior annuals, perennials, hanging baskets, and vegetable and herb plants, direct from our own greenhouses. 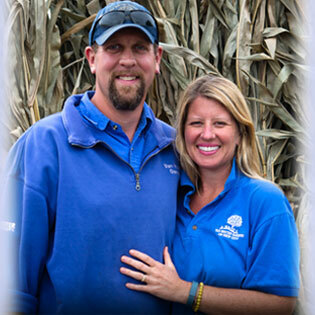 Our trained and experienced staff is here to help you pick just the right plants from our huge selection, as well as answer all of your gardening questions. As spring transitions into summer, we offer a full selection of fresh and local produce, highlighted by our famous super sweet corn. Fall brings a bountiful selection of our own-grown hardy mums and pumpkins. After a little break following Halloween, we reopen the day after Thanksgiving with fresh-cut Christmas trees and our own handmade fraser fir wreaths. Thanks for checking us out, we look forward to seeing you!